There are lots of tools that are now available in a “21st century classroom”, for collaboration, reflection, analysis and student’s articulation of what they are learning. 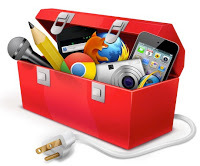 At the bottom of the page you will find my original list of tools that might be helpful in your classroom, with links to them. However, a few years ago I found appitic which was a site run by able developers that gave fantastic lists of apps that they had tried and tested. Unfortunately this site is no longer being maintained, but in looking for a link to the appitic lists I came across The Pedagogy Wheel developed by Allan Carrington, Designing Outcomes. SUPERB !! So superb, that there is no need for me to try and reinvent the wheel… Allan has done a great job.